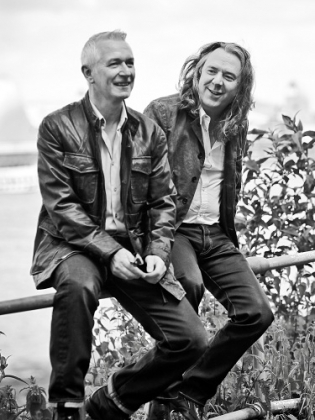 Following their hugely successful sell out 15 date tour in January, Danny Bowes & Ben Matthews from Thunder, will hit the road again in January 2013 for more intimate evenings of 2 man mirth, music and musings. Sticking with the same format as before - a mix of acoustic Thunder songs & favourite covers, plus new road stories. The shows will be seated, with 2 sets, and there will be no support. Tickets are onsale now and are £18.50 everywhere except for London* where they are £19.50. (All subject to booking fees). Doors open 19.30 and show starts at 20.00 (may change at some venues) Tickets for all shows except Ballymena and Milton Keynes can be found at http://www.livenation.co.uk/artist/danny-and-ben-from-thunder-tickets. A perfect way to cheer up a miserable January…. For more Danny & Ben news go to www.thunderonline.com.